Healthy Eating refers to the availability and affordability of fresh healthy foods in communities, schools, workplaces, and places of worship, regardless of income and geographic location. Active Living refers to a way of life that integrates physical activity into daily routines. In addition to recreational exercise, active living includes moderate forms of activity such as walking or bicycling for transportation, taking the stairs, or working in the yard. What is Healthy Eating | Active Living? We believe an increase in access to healthy foods and an increase in active living will improve the health and wellness of the people and communities of Spartanburg County. Poor eating choices and lack of exercise are primary risk factors for heart disease, stroke, diabetes, obesity, certain cancers, high blood pressure, high cholesterol, and osteoporosis. They are also associated with depression, isolation, and mental illness. Efforts to increase the availability and affordability of fresh, healthy foods will include: (1) addressing the underlying causes – i.e. food desert mitigation strategies, (2) reducing barriers to making healthy eating decisions, and (3) encouraging connections between existing infrastructure, such as farms and schools, to help create better community access to healthy foods. Improving the health and wellness of Spartanburg County through increased physical activity will require efforts that: (1) remove barriers to engaging in physical activity, (2) create more opportunities for active transportation and physical activity, and (3) encourage the use of existing active transportation infrastructure and physical activity resources. Research shows that communities of color live in census tracts with no or low access to healthy retail food stores at higher rates than whites. There are various groups working to increase access to affordable, healthy foods through a variety of efforts. FoodShare Spartanburg: FoodShare SC expanded to Spartanburg in 2018 and operates out of the Spartanburg Urban Mission. FoodShare uses a community-based approach that provides bi-weekly subsidized healthy food boxes to Supplemental Nutrition Assistance Program (SNAP) recipients. SNAP households receive subsidies through the SC Healthy Bucks Program. 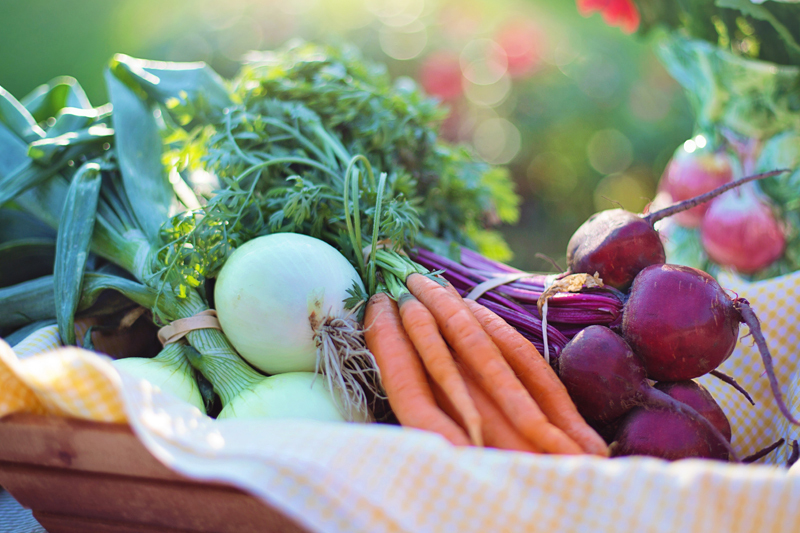 Hub City Farmers’ Market (HCFM) and their SNAP Program: HCFM is committed to increasing the supply, demand, and access to healthy, local food in Spartanburg County. They operate a weekly farmers’ market at Northside Harvest Park and have become a statewide leader in connecting local farmers with SNAP recipients. HCFM also operates a Mobile Market that takes food to communities throughout the County, including several food deserts. Northside Development Group (NDG): NDG encourages and manages the redevelopment of the City of Spartanburg’s Northside community, honoring its past and expanding the economic, educational, recreational, health, and social opportunities for its residents. Through the efforts of NDG and the Spartanburg community, the weekly farmers’ market is now hosted in the community at Northside Harvest Park. Additionally, Monarch Café and Grocery Food Store provides other healthy food retail opportunities for residents throughout the week in what was previously considered a food desert. South Carolina Community Loan Fund: The nonprofit organization transforms and revitalizes communities throughout South Carolina by financing a variety of projects including those that provide access to food. Our quality of life and opportunities to be physically active are tied to our community design. Connected and well-planned communities allow people to not only reach their destinations by car but also to walk or bike. 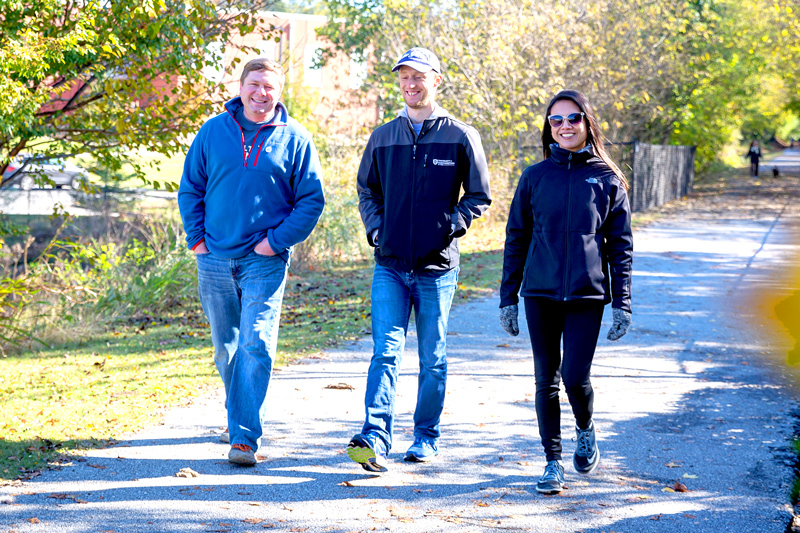 Partners for Active Living, in partnership with local municipalities and design firms, is leading efforts in Spartanburg to advance active living opportunities. For the past eight years, through a partnership between the SC Department of Health and Environment Control (DHEC), all seven Spartanburg County School Districts, and Partners for Active Living, all 1st, 3rd, and 5th grade students in Spartanburg County have been measured to determine county-wide Body Mass Index numbers. The 2017 numbers show that 33.2% of children measured were overweight or obese; however, this percentage is even higher in children from low-socioeconomic households and among African American and Hispanic children. Below are initiatives and groups working to reverse these disparities. Healthy Schools Initiative: A four-year (2016-2020) initiative that includes nine schools throughout Spartanburg County. The schools participate in the Alliance for a Healthier Generation Healthy Schools Program while receiving technical assistance from the Alliance and Partners for Active Living as well as funds to implement changes. The goal of the initiative is to help the schools create healthier environments, resulting in reduced Body Mass Index (BMI) numbers and improved academic scores. Preventing Obesity by Design: An initiative of NC State, Preventing Obesity by Design creates outdoor environments to support physical activity and healthy eating of young children attending early learning centers. Through a partnership between SC Department of Health and Environmental Control, SC Department of Social Services and Partners for Active Living, there are five early learning centers in Spartanburg County that are in the process of transforming their outdoor spaces. SPARK PE: The Mary Black Foundation has partnered with all seven Spartanburg County school districts to train PE teachers in every elementary and middle school in an evidence-based PE curriculum, SPARK PE. In addition, the Foundation selected four outstanding PE teachers to become local SPARK PE Trainers. The Foundation supports ongoing learning and excellence among our PE teachers. Eat Smart Move More Spartanburg: In 2016, the Spartanburg Childhood Obesity Taskforce transitioned into a chapter of the statewide organization, Eat Smart Move More South Carolina. The Spartanburg chapter continues work on reducing childhood obesity. Partners for Active Living (PAL) has been the lead organization to implement the Spartanburg County Trails Master Plan, which will result in 32 miles of continuous trail. Other partners involved in this work include the City of Spartanburg, SPACE, Palmetto Conservation Foundation, Tyger River Foundation, Spartanburg County, and local business and community leaders. Alliance for a Healthier Generation $16,000 for technical assistance support to the nine schools particpating in the Spartanburg Healthy Schools Initiative. City of Inman $63,000 to install outdoor exercise equipment as part of the city’s Leroy C. Mathis Park renovations project. Girls on the Run Spartanburg $20,000 for the first year of a three-year grant to enable girls to have access to quality after-school youth development programming. Healthy Schools Initiative $351,000 to nine local schools ($39,000 per school) for the third year of a four-year grant to participate in the Healthy Schools Initiative. Hub City Farmers’ Market $92,100 to support efforts to access affordable healthy foods through a local market, mobile market, and SNAP outreach. Northside Development Group $1,350 to support scholarships for the Butterfly Foundation’s Monarch Jr’s kids cooking class. Partners for Active Living $157,250 to support efforts to decrease childhood obesity, increase access to trails and parks, and ensure safe access to walking and biking for everyone. $32,500 to provide technical assistance and evaluation for the Healthy Schools Initiative. $2,500 for Bikes for Tykes, an effort to provide bikes to students at Meeting Street Academy. Spartanburg Methodist College $8,600 to support the Get Fit, Be Active Pilot Project, that will provide opportunities for physical activity for students on campus. Spartanburg Urban Mission $15,000 to pilot the FoodShare SC program in Spartanburg County. Town of Lyman $100,000 to build an all-inclusive playground accessible to children with and without disabilities. Eat Smart Move More South Carolina $7,800 to train young people in the City of Spartanburg’s Parks and Recreation program to implement healthy eating and active living campaigns. Hub City Farmers’ Market $89,032 to support efforts to increase access to affordable, healthy foods. $92,100 to support efforts to increase access to affordable, healthy foods through a local market, a mobile market, and SNAP outreach. Partners for Active Living $147,500 to support efforts to increase active living opportunities throughout Spartanburg County. $157,250 to support general operating expenses leading to improved places, programs, policies, and partnerships that encourage active living. Spartanburg Community College Foundation $76,860 to implement infrastructure changes on campus to support the new Sustainable Agriculture program. Spartanburg County School District Six $35,500 to purchase 45 hydroponic towers and a FarmBot to be used at the District Six greenhouse. Upstate Forever $50,075 to build the capacity of community members and elected officials to transform built-environments in Spartanburg County. Measuring progress means monitoring and assessing the efforts of individual grantees and, more importantly, it means tracking progress toward broader community-level outcomes. The ability to measure progress not only demonstrates our collective contribution toward improved health and wellness in Spartanburg County, it allows the Foundation’s staff and Board of Trustees to reflect on and improve upon our grantmaking and the impact of our investments. Before we could measure progress, we had to know where we were headed and how we would get there. In 2014, the Foundation formed a committee, comprised of staff, members of the Board of Trustees, and community partners and grantees, to develop a logic model to guide our grantmaking. The HE|AL logic model graphically displays the short, intermediate, and long-term outcomes that we seek to accomplish. Additionally, we have developed indicators of success for each of the short-term outcomes. The accompanying theory of change explains the rationale and assumptions that guided the development of the logic model. In 2018, the Foundation’s Board of Trustees adopted a Health Equity Framework to guide the work of the Foundation. The HE|AL and ECD logic models were subsequently updated to reflect a Health Equity lens.